Flapjack Records jumps across the pond once again to a land where “flapjacks” aren’t synonymous with pancakes. To explain this phenomenon we turn to native Pete Le Freq to find solace in his new EP “The Dalai Llama EP”. 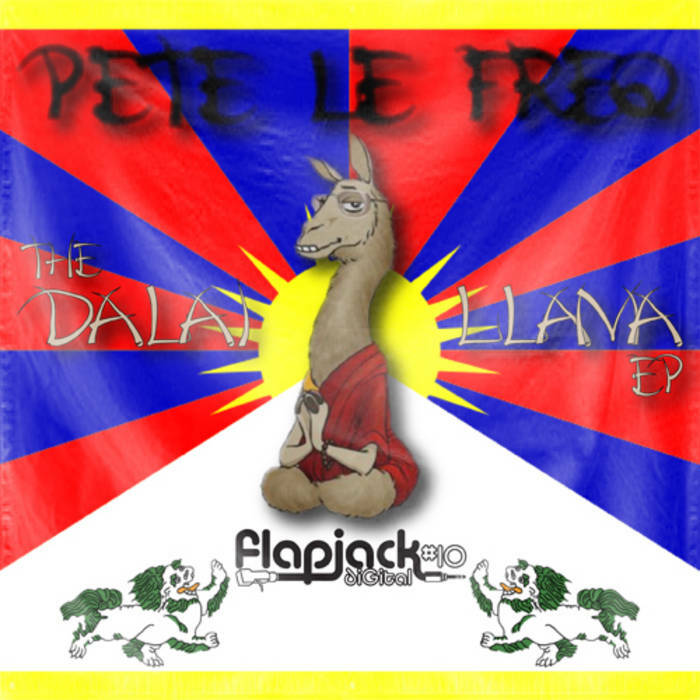 Pete Le Freq, the man behind the Llama Farm imprint has been battering up dance floors with jackin animal style beats for some time now. When I say “animal style”, I am not talking about the secret items on the In & Out Burger menu, but his natural animal instincts that lead him to such buttery bass lines and flapjackin beats. The first cut “Indecisive” is as tantalizing to the dance floor taste buds as a melted butter and maple syrup all slippery and delicious over a plate of flapjacks. If you are feeling indecisive about this tune, the bass line and vocal alone will change your mind. In round two we add another whole stick of bass line butter to the batter with “Dubby Goo To Me”. Pete’s penchant for bass continues as this tune really works it out. This tunes fresh beets, buttery bass, and a delicious vocal topping are surely to leave some messy stains on the dance floor. “Own Thing” is a nice phat slice of the UK house sound. Pete serves up an over sized piece of that smooth but jackin with a bit of tech sauce sound that our UK comrades do so well. I always like to add a little bit of some warble in my synth reduction. Last but not least is the suggestive “Maybe Eat”. I think I will, thank you very much. This delicious drop comes again with the funky bass line bizness and the famous “can you dance to my beat” vocal. Hungry dance floors will surely jump at this tasty morsel.